Diverticula are small pouches or bulges that form in the wall of your large bowel (your colon or large intestine). Diverticula don't always cause symptoms or problems. If you have them without any symptoms, it's called diverticulosis. It's a common condition among older people, affecting around 80% of people over 80. Diverticulitis is when the diverticulum become inflamed or infected. This can cause symptoms such as lower tummy (abdominal) pain or bloating. 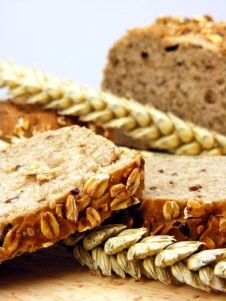 Most people with diverticulosis and diverticular disease should follow a high-fibre diet. This can help to keep your poo soft and easy to pass and reduce the pressure in your large bowel. It can also help to ease symptoms you may already have, such as bloating, constipation, diarrhoea (the runs), and pain. High-fibre foods include vegetables, fruit, nuts, seeds, legumes (cooked dried beans, split peas and lentils), brown rice, wholegrain breads and cereals. If your diet is low in fibre, it's important that you gradually add more fibre over the course of a few weeks. This will help to prevent side effects, such as bloating and wind (flatulence), that sometimes happen with a high-fibre diet. Fibre and fluid for healthy bowels explains more about eating a high-fibre diet. Are there foods I should avoid to prevent diverticulitis attacks? In the past, people with diverticula were told to avoid nuts, seeds, popcorn and foods with small seeds, such as tomatoes, cucumbers and strawberries. We thought these foods could get stuck in diverticula and cause diverticulitis (inflammation). But there's no proof that these foods cause diverticulitis. In fact, eating a high-fibre diet – which may include nuts and seeds – might make it less likely that you get diverticulitis. Do I need to take a fibre supplement? If you don't get better with a high-fibre diet, your doctor may suggest you take a fibre supplement (also called bulk-forming laxatives or bulking agents) such as Konsyl-D or Metamucil. You can get fibre supplements on prescription or buy them at the pharmacy. You can also get Metamucil at some supermarkets. It usually takes two to three days for bulk-forming laxatives to have any effect, so make sure you take them according to the manufacturer's directions, or as your GP or pharmacist tells you. High-fibre foods and fibre supplements soak up fluid, so it's important to drink at least eight cups of fluid each day. Make sure you have some water, but milk, cordial, fruit juice, hot drinks, soup, jelly, custard and ice blocks all count as fluids. Go easy on fruit juice, cordial, and fizzy drinks as they're all high in sugar. Are you drinking enough? explains more about making sure you get enough fluid. If you have a flare-up of diverticulitis you may be told to follow a low-fibre diet to help your digestive tract rest and heal. If your symptoms are severe you may need to take medicine and stay in the hospital for a while. You might need a clear liquid diet for a short period to give your bowel a rest. Suitable fluids include apple juice, Lucozade, lemonade, clear soups (for example, chicken stock in hot water), black tea and coffee. Once your symptoms improve, you can slowly start to eat a low-fibre diet and in time return to a normal high-fibre diet. Written by HealthInfo clinical advisers. Endorsed by Healthy Eating Healthy Ageing Project dietitian, Canterbury DHB. Last reviewed January 2019. Last updated February 2019. Perry, A. F., Sandler, R. S. (2013). Diverticular disease: reconsidering conventional wisdom. Clinical Gastroenterology and Hepatology, 11,1532-37.